"Thank you so much for our wedding cake. It was fantastic and so many people have told us the same. You offer a fantastic service and made us feel special at every meeting we had with you. We will definitely be using you in the future, as well as recommending you to others." "Hi Sue, May I take this opportunity to thank you for all your hard work. The cake was out of this world. The amount of comments you received about the cake is a credit to you. All your business cards went within minutes with the DJ and chocolate fountain boss having some as well as the balloon lady and even the Hilton's Events Organiser asking for some. I genuinely hope you get a lot more work." "Thank you so much for such a beautiful cake. Everyone commented how life like the flowers were. It was amazing to see our design so perfectly made up." "Thank-you so much for your superb effort in the design and making of the Wedding Cake. It was very much admired and tasted delicious." 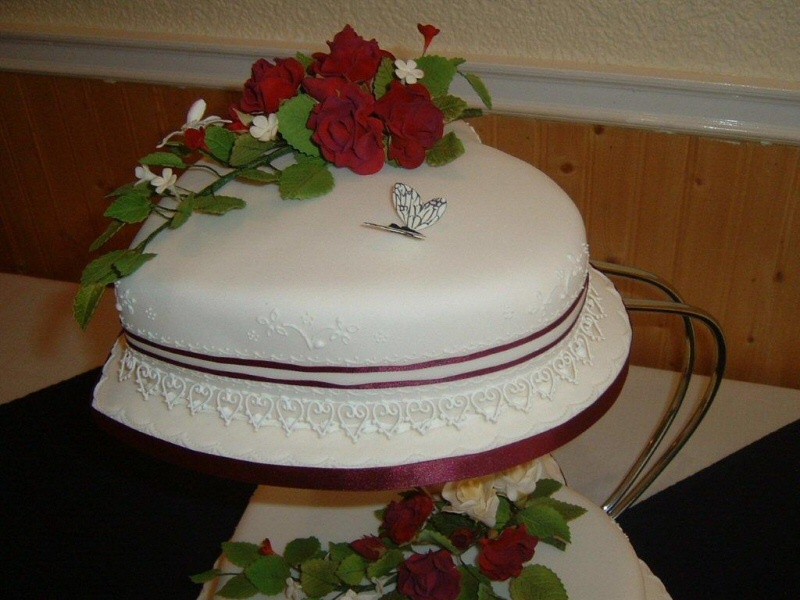 "All the guests commented on how lovely the wedding cake was, to look at and of course, to eat. Thank-you very much." "Thanks for making our beautiful wedding cake. It looked and tasted wonderful and was much admired." "Fantastic cupcakes bursting with vibrant colours and they tasted as good as they looked. Can't thank Sue enought for her ideas that helped to produce something that was unique and perfectly suited to our 70's themed wedding reception. The cakes were tremedous value for money and Sue was great in every respect. Would definately recommend for your special occasion. Many thanks once again!" "Thank you for making our daughter's 18th Birthday Cake. It was beautiful, brilliant and fantastic." "Thank you so much for my daughter's FABULOUS cake! She was thrilled with it (and it tasted great too)."